HIFU is a remarkable breakthrough in technology, offering a non-invasive alternative to a surgical facelift. For many, this is a MUST have treatment option, and the ONLY FDA approved treatment with a specific intent for improving lines and wrinkles on the face and décolleté, penetrating to depths previously only possible with surgery. Using the power of Ultrasound HIFU safely lifts and tightens the skin. Ultrasound is a form of energy that is significantly different to others, such as light (used in IPL), or indeed laser or electrical (i.e. radio frequency) energy. Unlike other energy waves, HIFU protects the skin surface, whilst precisely penetrating deep into the sub-layers of skin, treating beyond the dermis and foundation layers, where structural weakening starts. It’s because of this accuracy that the surface skin remains undamaged, so you needn’t worry about any extreme red faces or recovery time. Tissue at the target point is heated to 65°C, thermal heat is created with the skin tissue creating both spaced ‘wounds’ and cellular friction—which in turn promotes healing, immediately contracts collagen and stimulates a rapid production of new cells. Over the next 90-180 days, the wound-healing response stimulates long-term tissue and leads to further lifting and tightening, with results that can last years. It also helps to improve the tone and the features of your face such as your eyes, cheeks, mouth and chin, making it a viable alternative to Botox, with the benefit of being able to maintain facial expression. 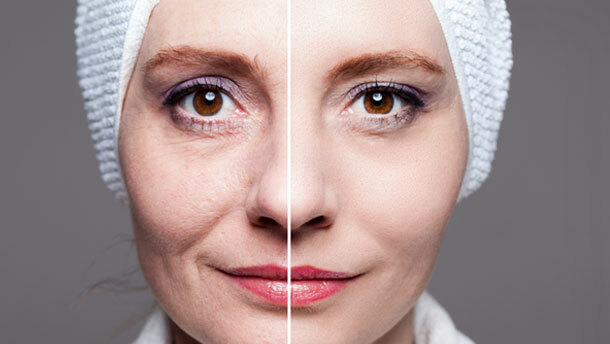 If you have undergone a surgical facelift however, this is equally an excellent option post-surgery to maintain the lift and treat blood stasis, scarring, and numbness. For more information about this incredible non-surgical facelift, get in touch with the friendly team at Health & Beauty Bournemouth.